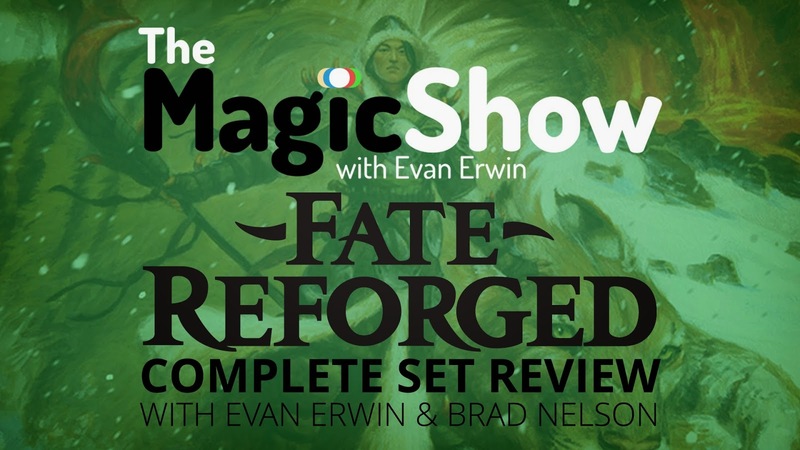 First up - the new standard format metagame with Fate Reforged. 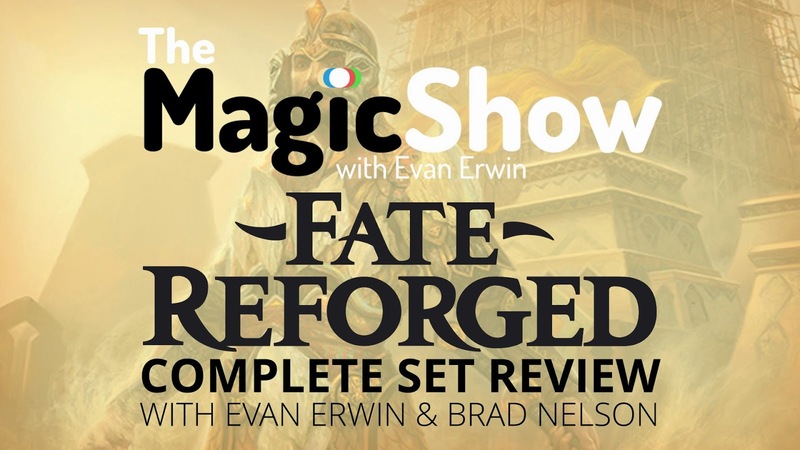 We suggest you pop on over to MTG Goldfish where SaffronOlive has posted this article 'Week One: Fate Reforged By the Numbers'. 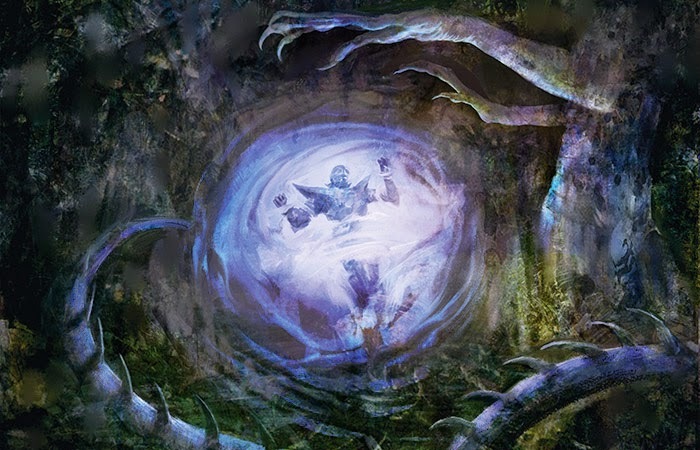 We also very much enjoy reading the summaries provided by Nick Vigabool over on Gathering Magic - see his latest 'Standard Snapshot' over here. In the most general terms, the game continues to look very healthy in the first week after the new set release with a diverse number of decklists. 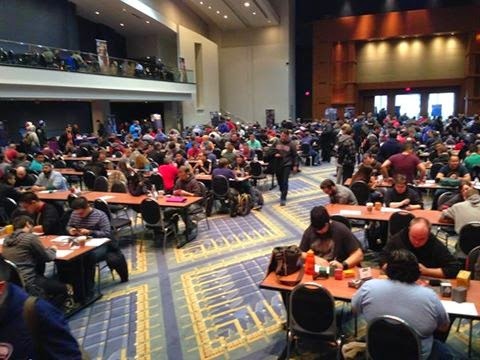 You can check out the great coverage at the recent StarCityGames Open Series, Washington DC from last weekend over here. Next - some sad news from Wizards of the Coast. It appears that a number of staffers had been let go, most involved with Dungeons & Dragons. Of particular note still unconfirmed are Jennifer Clarke Wilkes, Chris Sims, and Torah Cottrill. We want to pass along best wishes to all affected. Lastly, a bit about the 'Tiny Leaders' format - an offshoot of Commander (Elder Dragon Highlander). This is a singleton format with a legendary creature acting as the general / commander not unlike Commander but with some interesting twists - decklists are 50 cards with a 10-card sideboard, you start at 25 life and every card in your stack must have a converted-mana-cost (cmc) of not greater than three. We will definitely want to try this out. 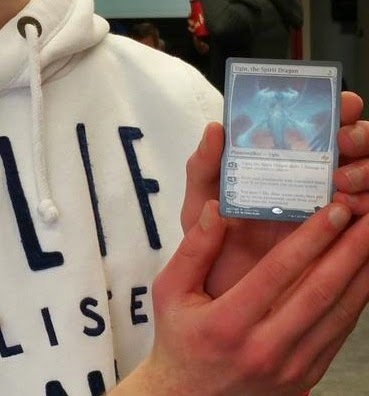 This format was created and developed by fellow Canadians Steven Hamonic and Bramwell Tackaberry out in Winnipeg, Manitoba where popularity quickly spread. The creators have since filed trademark protection. Read all about this very cool game over on the Facebook Page here. As promised yesterday over on MTG Realm on Tumblr, we will be dropping a post regarding our thoughts for standard format Black / White Warriors. If you've been reading the MTG Realm blog for any length of time (apologies to you), you'll know that we have a thingy for weenie and token strategies. There is nothing quite as satisfying than emptying your hand of low costing critters (sometimes with a pump spell), and turning cards sideways. One of the very fist decklists we developed was the rather obvious 'build around' pair of 'Chief of the Edge' and 'Chief of the Scale' (the 'Chieves') from Khans of Tarkir. Unfortunately, we scrapped this not long after in favour of Abzan Midrange and latter, Mardu Tokens. You can see our article on this from November right here. This particular strategy is all about dropping as many early beaters as possible (there are 16 x 1-cmc creatures) to achieve an early game win. In game two, carefully considered cards in the sideboard are brought in to provide an element of control while attempting to wrap up the game no later than turn five. 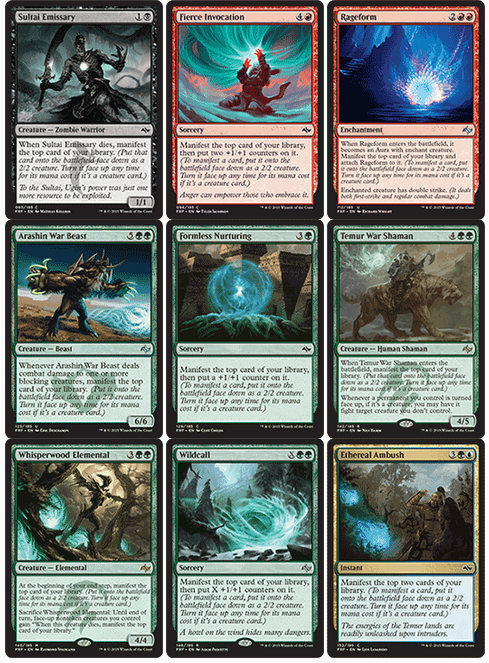 The sixteen cards with one converted mana cost are all 2/1, or theoretically a 2/1 in the case of Mardu Shadowspear. Mardu Woe-Reaper is good against recursion / Whip decklists, and Bloodsoaked will typically always have 'raid' bring it back to the battlefield. The 2-cmc cards are a bookset of Chief of the Edge (solid 'tribal' pump) and Battlebrawler, which in most games we've tested so far has typically been a 3/2 first striker. 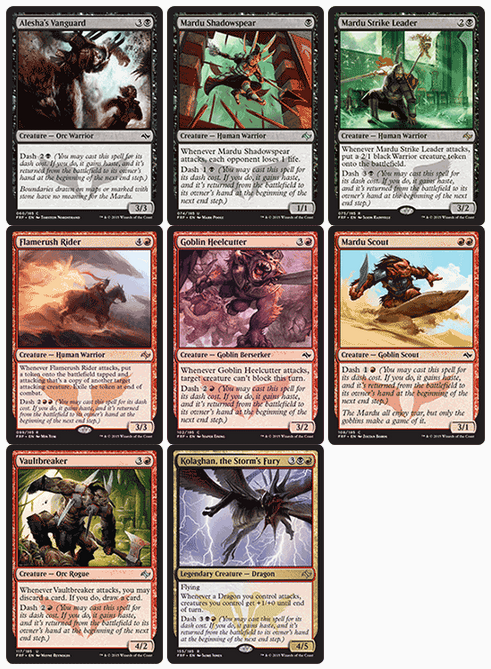 A deckset of Mardu Strike Leader occupies the three slot. Dropping 2/1 Warrior tokens is neveer a bad thing - especially when they are potentially 3/1 with Edge Chief. Only two Brutal Hordefhief round out the creature side of the list and is meant to provide a route to push the last bit of damage through with either it's static ability or activated one. For non-creature spells, we've packed light as to not dilute the strategy. 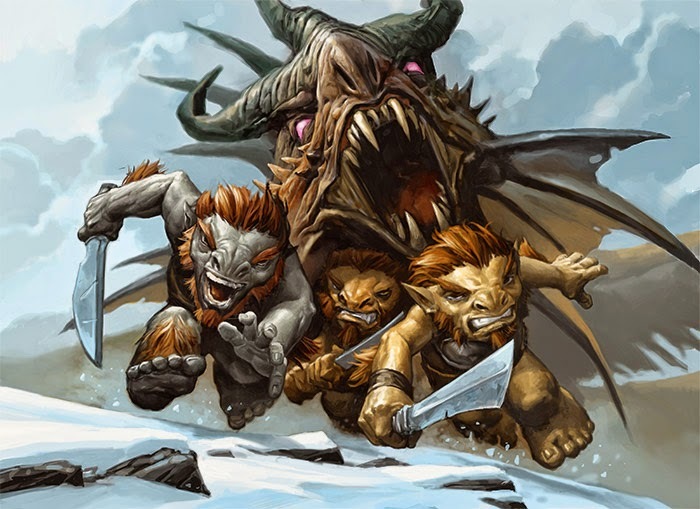 There are 3 Biles and 3 Cures in this list all very relevant to today's metagame where we see loads of goblin tokens (from Goblin Rabblemaster and Hordeling Outburst) as well as Manifest / Morph creatures. A pair of Valrous Stance is our parachute if the game goes sideways and one copy of Return to the Ranks serves as our reserve chute to get all our dudes back in the game. There are a long list of cards we really, really want in this list like Sorin, Solemn Visitor, Mardu Ascendancy, Abzan Ascendancy, Obelisk of Urd, Athreos, God of Passage, Brimaz, etc. - the list goes on. We cannot take these on, no matter how much we want to, so that our primary stategy is not diluted and our game one is slowed down. As we've mentioned, this is still a work in progress. 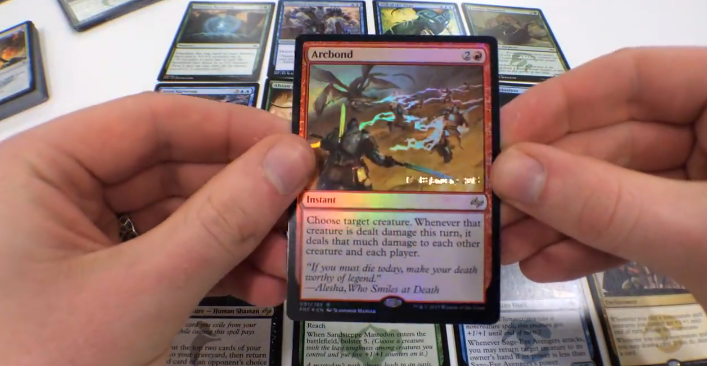 Some considerations we've be having for sideboard includes, but is not limited to, Utter End, Thoughseize, Merciless Executioner, Hero's Downfall, Boon of Erebos, Drown in Sorrow, Sign in Blood, Read the Bones, etc. All these will have to be considered against what decklists are posting good results in our neighbourhood. That's it for now, Happy Brewing everyone ! 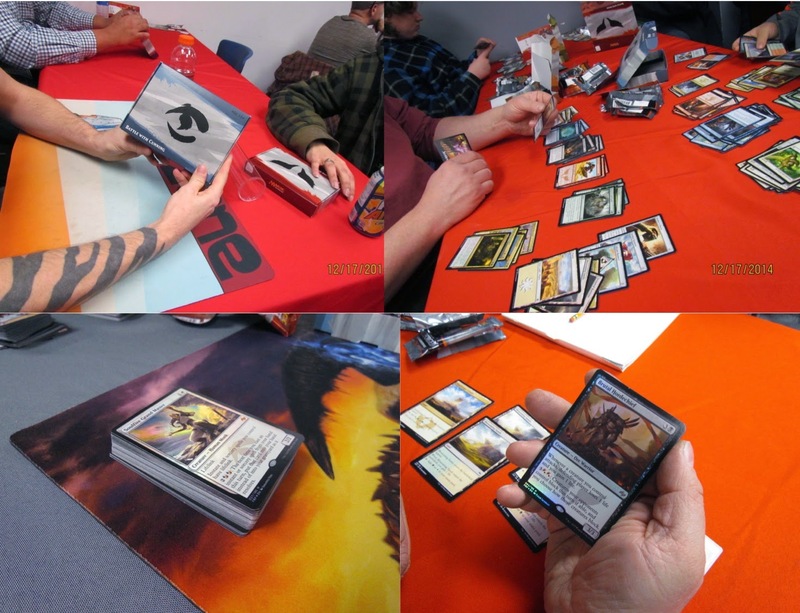 We'll update you as to how we did at next Friday Night Magic at our local gaming store OMG! Games, here in Barrie. Streamers of Georgian Bay here in Ontario is giving the Greater Toronto Area (GTA) the business end of winter but nothing quite compared to what Winter Storm Juno is expected to do as it rips up the east coast causing massive havoc from Boston to New York City. 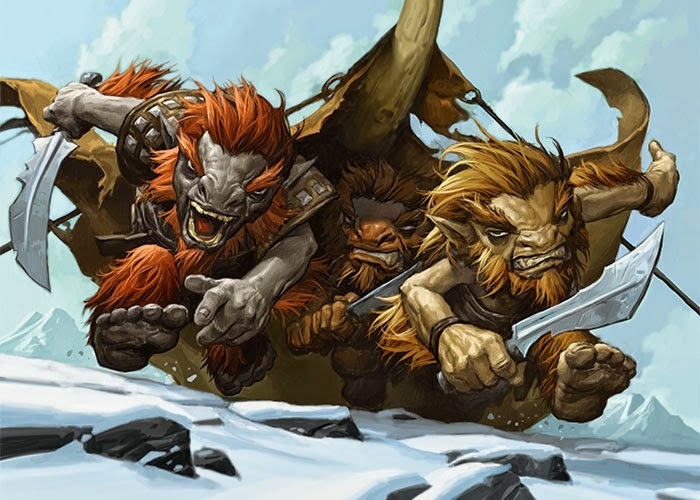 If you are on the east coast, be prepared with some snacky-poos, long-burning candles, and all your Magic: the Gathering decks to hunker down with while you ride out the storm. • Evan Erwin with Brad Nelson doing their customary set review on The Magic Show. This is always entertaining and we always feel better informed after. • Luis Scott-Vargas (LSV) over on Channel Fireball who does great evaluations of the set's notable cards for play in limited as well as constructed. 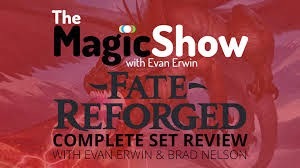 Here's some very handy links to each YouTube episode that Evan and Brad have for Fate Reforged - just click on the images below. Be sure to support this fan-supported show by dropping on over to Patreon. Everyone's choice will be different due to their experience, play style and preferences so your top ten could look very much different. 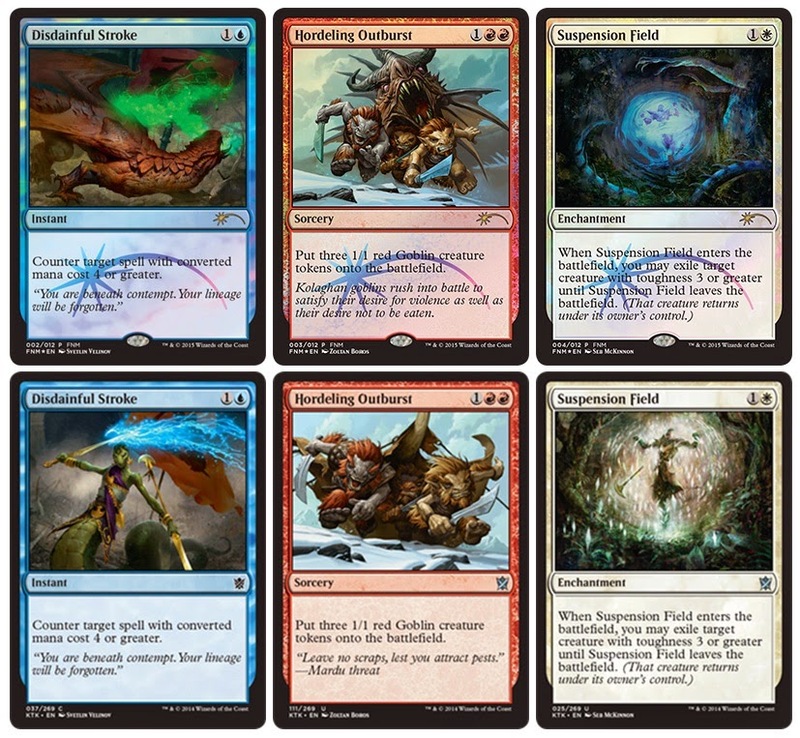 What would your picks be (considering all constructed formats) ? We is excite. 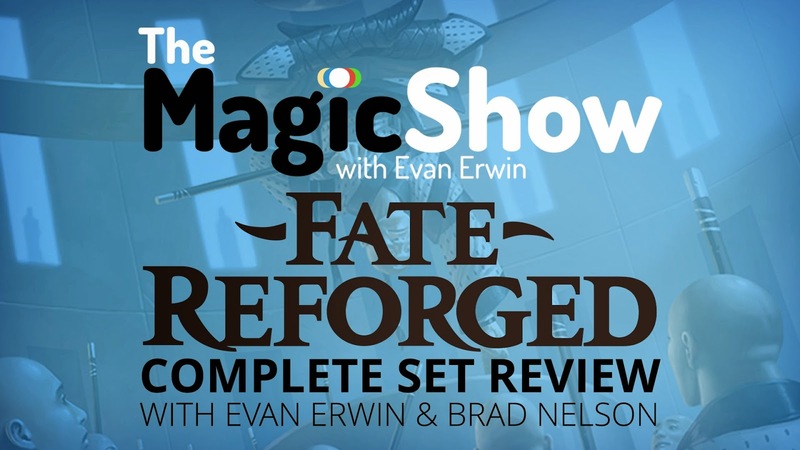 This evening at gaming stores around the world, Magic: the Gathering players will be heading off to Friday Night Magic events to take part in the official launch of Fate Reforged. We'll be off to FNM at our local card shop, OMG! 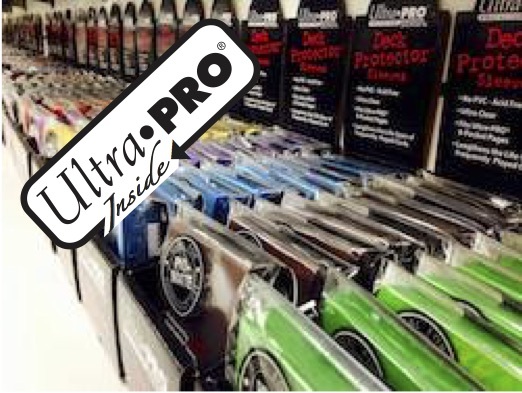 Games here in Barrie, Ontario and although we did swing by very, very early this morning (12:01 AM) to pick up a Fat Pack and a couple of boosters, we still do not yet have all the components to assemble our next 60-card weapon to game with - our pre-orders is expected later next week. Have a great time tonight at FNM ! The promo for the release is Sandsteppe Mastodon. 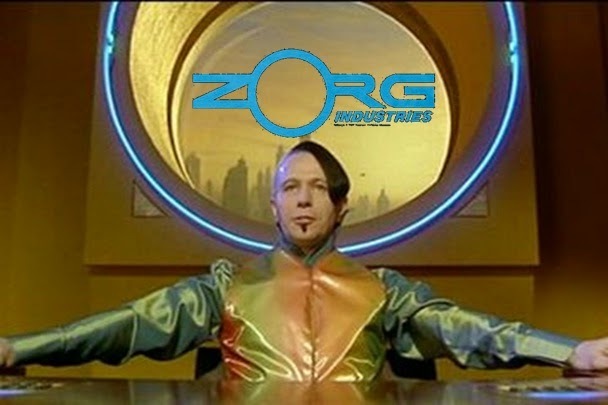 Tonight at midnight, we'll be in line at our local gaming store here in Barrie, Ontario - OMG! Games as they'll be open late to mark the official release ('street date') of the latest Magic: the Gathering set - Fate Reforged. 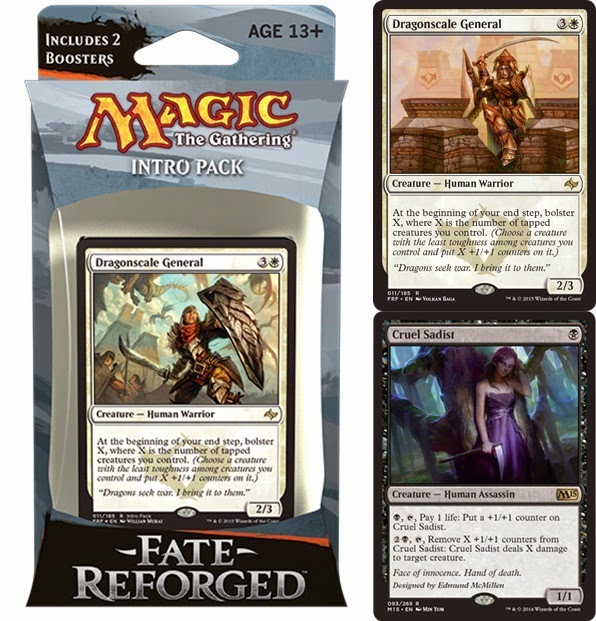 We'll need to pick up a Fat Pack as is our custom here at MTG Realm (look for a video un-boxing later) as well as a few singles to incorporate into our existing standard constructed builds for tomorrow's Friday Night Magic event. One of the first decklists we want to try out in this new standard is black / white warriors, perhaps splashing red. 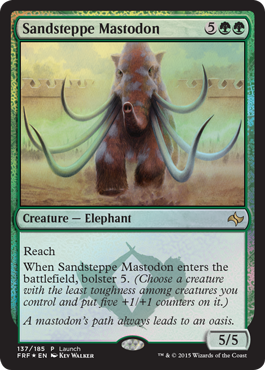 With tomorrow's official launch, players will also be able to pick up the launch promo card - Sandsteppe Mastodon which might not be perfect for standard format, but we have some Commander builds which would love some of this bolster tech. Sorry - Can't find Seb's other illustration. Here's a brief history of the FNM promo cards for last year. 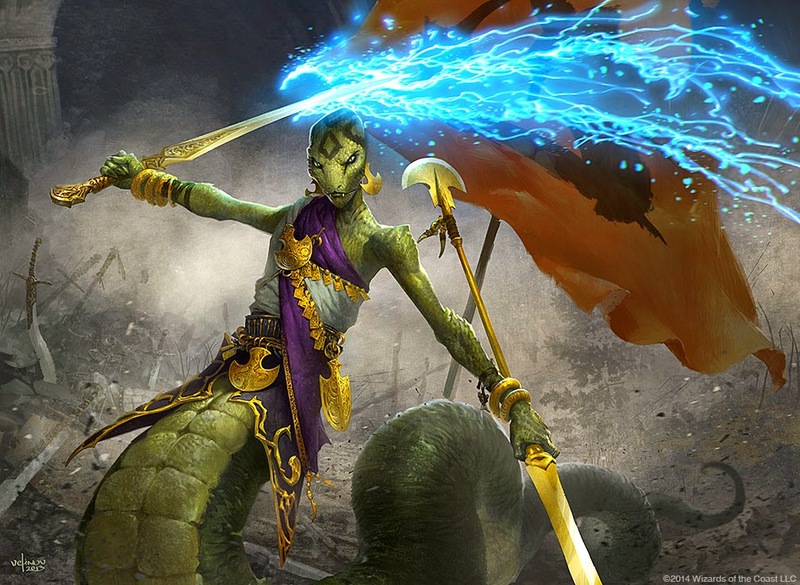 If you've been popping over with any regularity here to the MTG Realm blog (there's been more than six million visitors since 2008), then you know that we do have a good appreciation for the storyline ('vorthos') of each new Magic: the Gathering set. 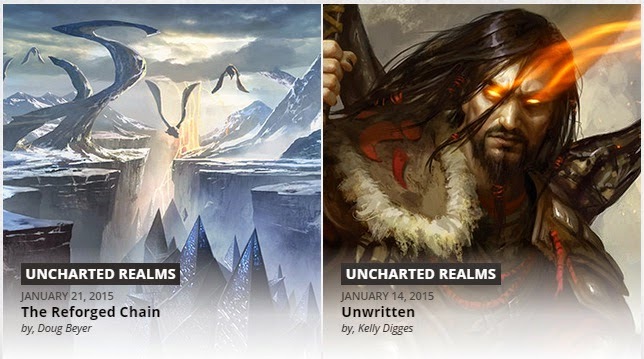 We were very disappointed with no animated trailer from Wizards of the Coast for the new Fate Reforged set and were disheartened to hear that no eBooks / novellas were further planned - but - we are certainly satisfied so far with the offerings from the Uncharted Realms article installments so far with the Khans of Tarikir block. If you've not read today's excellent post from Doug Beyer on the mothersite yet, please do, as we'll want to be getting in to it now. 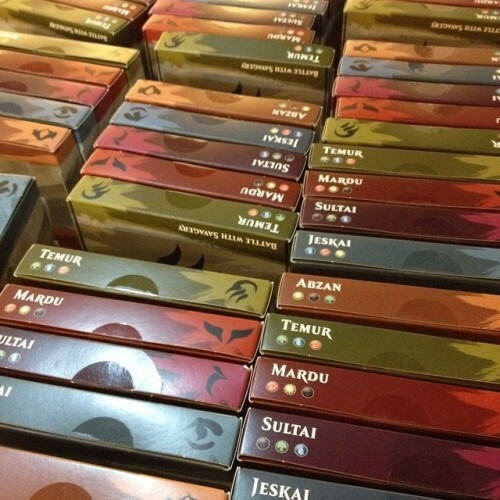 Sarkhan Vol has arrived in Tarkir’s past, more than a thousand years before his birth. When he first arrived, he saw the plane’s long-extinct dragons for the first time, watching them emerge from a crackling storm. Then he saw her: a human woman fighting with a glowing dragon’s claw on her staff and a sabertooth cat at her side. She killed a dragon broodling with powerful magic and drove the others away. She is everything he hoped for when he yearned for Tarkir’s dragons. 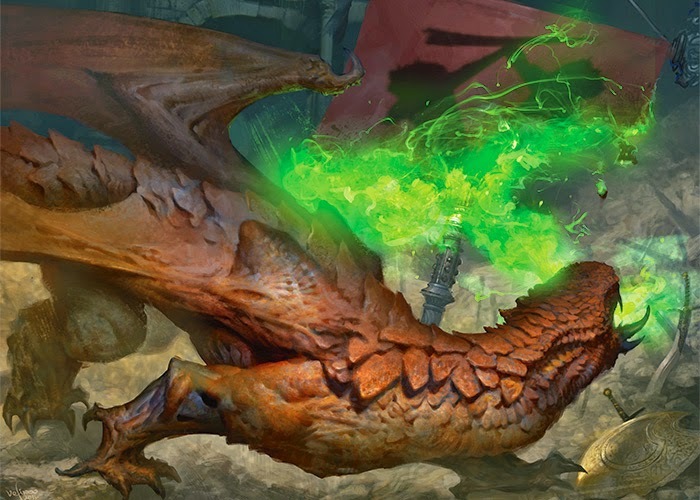 It appears that Sarkhan may have saved the mortally wounded Ugin by encasing the Sprit Dragon within the mystical hedrons. What happens next to Sarkhan as he blinks out of this time stream is very much up for debate - Does he just cease to exist ("even had led to his own existence, had become nullified") ? Does he return to a much-changed future? 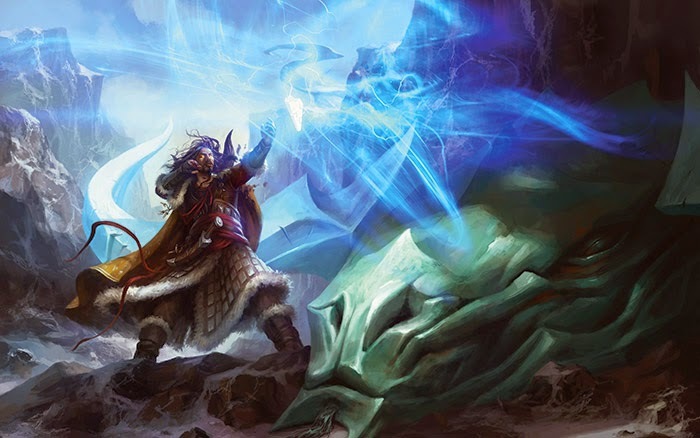 Is balanced restored to Tarkir? We do love the vague endings presented and very much look forward to the next installment. Perhaps the tyranny of the warring Clans are simply replaced by the tyranny of Dragons. Or not. 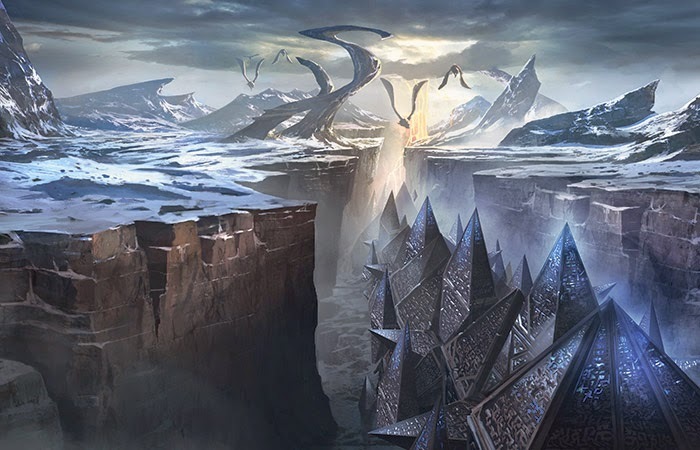 Of certain however is that the next block is called 'Dragons of Tarkir' which is a pretty big hint - we just are left to anticipate / contemplate which we are quite comfortable with. 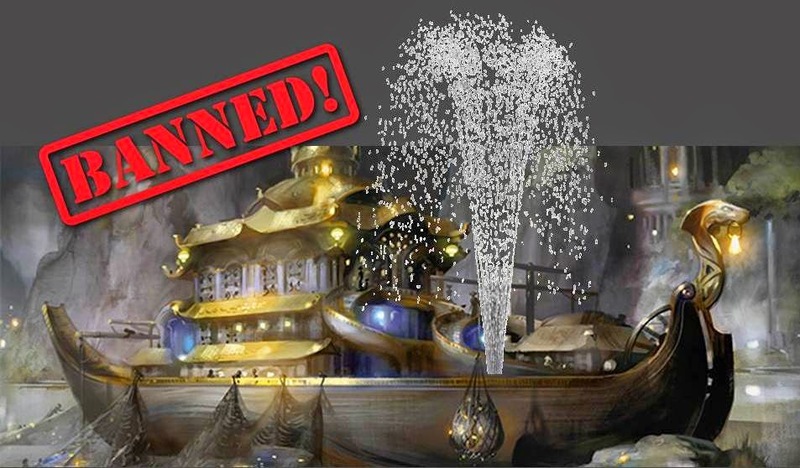 The greatly anticipated Banned and Restricted update notice was posted to the mothersite today and as many Magic: the Gathering players had suspected, Treasure Cruise took a hit with the ban-hammer. Before we get into the nuts 'n' bolts of the list, you may be happy to learn that there were no changes to Standard format from WotC as well as Commander (as set by MTGCommander.net). 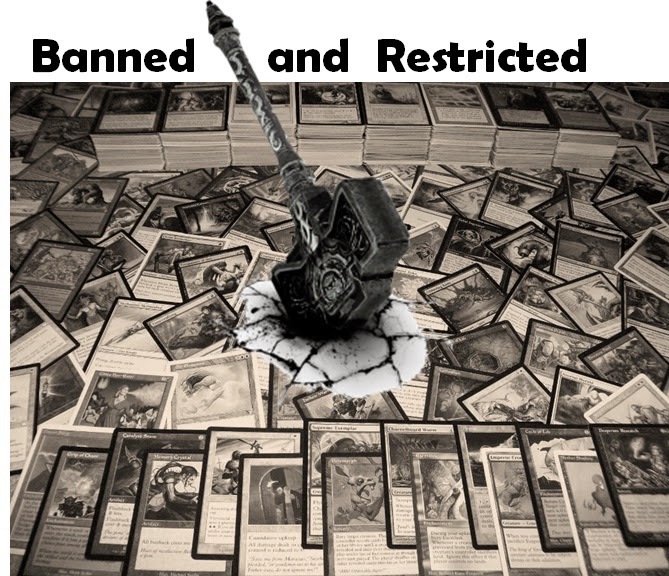 For a complete list of all banned and restricted cards for each format, click on over here. Treasure Cruise gets banned from Modern and Legacy with a restriction for Vintage. Dig Through Time gets the same treatment for Modern. Blue-Red Delver decklists will suffer the most for this but we do understand that the mecurial rise of UR Delver may have needed to be curtailed - we just thought that this move would have taken place a bit further down the line. Since we don't play Legacy or Vintage, you are on your own to develop a sense of how the metagame will adapt to these new changes. Wow. What a great weekend. 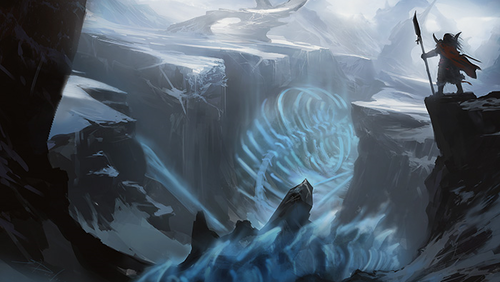 The temperature which was sitting at a frigid -20 ºF steadily rose to just around freezing AND of course, the Fate Reforged PreRelease event. Our local card shop, OMG! Games here in Barrie, kicked off at the stroke of Friday Midnight and continue with a series of events all weekend long. 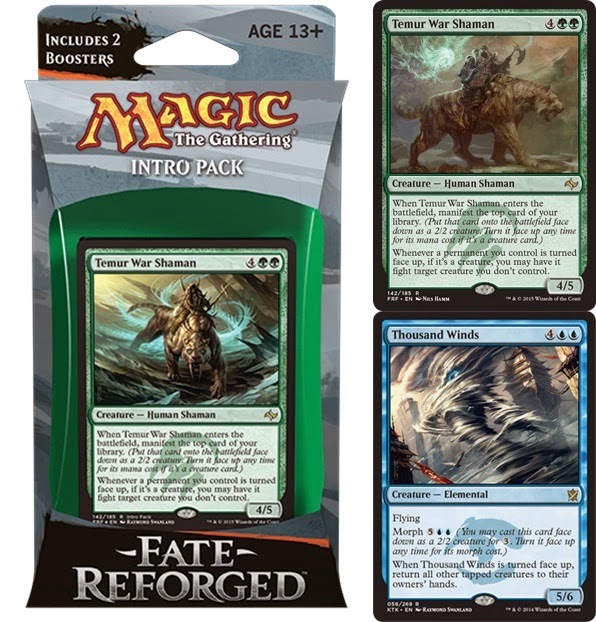 At the time of this post, Magic: the Gathering players are collecting for a two-headed giant team sealed event with the new Fate Reforged goodness. 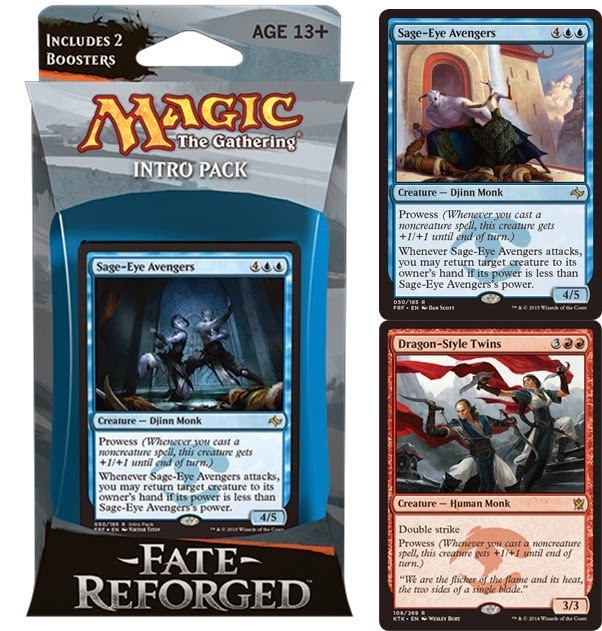 The seeded pack had Flamerush Rider, while the Fate Reforged packs had Whisperwood, Outpost Siege, Sage-Eye Avengers, and Ojutai, Soul of Winter. 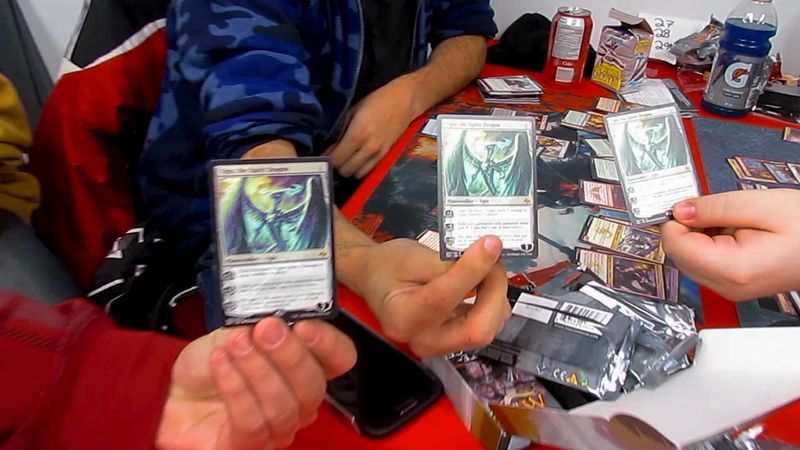 The Khans pack scored us a foil Retribution of the Ancients and a Dig Through Time. The final pool gave us a decent black / green build with warriors on the front end and green fatties on the business end but we did the oh-too-familiar 0-2 drop and went home to caress our lovely new cardboard. 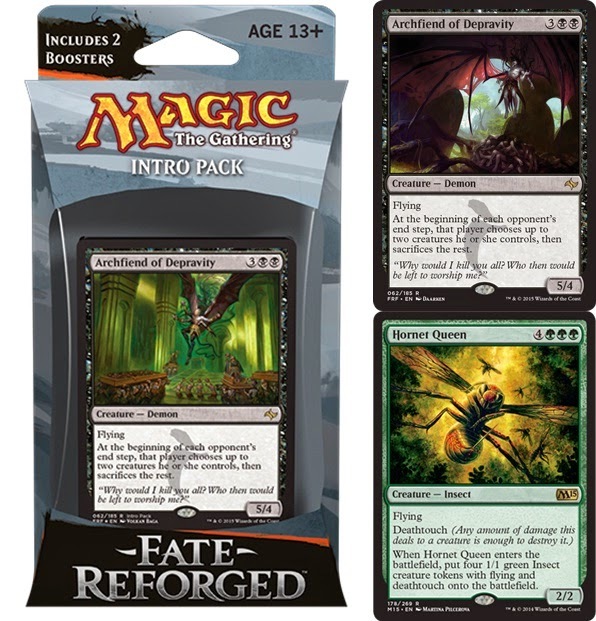 All-in-All, we LOVE that the prerelease has more packs of the new set than previously. This may have perhaps made for a more 'grindy' game but we that is something we don't mind trading in for new set cards. We are off again to Friday Night Magic at OMG! Games here in Barrie, Ontario and will be bringing along a funky Mardu decklist that drew into first place last week (quick report over here on Tumblr). 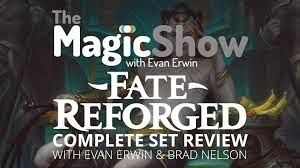 There is a Fate Reforged PreRelease event at midnight but we're not sure if we can make it as we got up pretty dang early today, so it might be Saturday or Sunday. Bolster is a keyword action; accompanying the keyword will be a number which tells you how many +1/+1 counters will be created from the action. When a spell or creature with Bolster resolves, the Bolster action is completed without using the stack. The creature receives the counters when you Bolster, not when you cast the spell/creature. To clarify in the instance of the Bolster action on a creature: the Bolster trigger does use the stack, but once priority is passed on the action, the action is then completed without use of the stack (e.g., your opponent can kill a creature you control with the bolster ability on the stack, but cannot respond to the action of choosing the creature you control to bolster). To Bolster, you choose the creature you control with the least toughness; in the event of a tie, you may choose one of those creatures. Bolster does not target a creature. The aplty named dash ability is an alternate casting cost option for the creature. When a creature is dashed, it gains haste and returns to its owner's hand at the beginning of the next end step. Dashing a creature is still casting it - it goes on the stack like a normally casted creature, and may be targeted on the stack the same way (e.g., with a counterspell). In any event where the creature goes to the graveyard or is exiled from play, the return provision will not trigger. 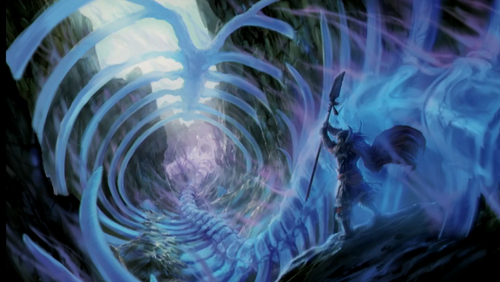 Similarly, if the creature leaves play and comes back into play (e.g., from an Astral Slide effect), the returned instance of the card will not return to hand, but rather will stay on the battlefield. A manifested card is put onto the battlefield face down. While manifested (i.e., face down), it functions just like a morph - it is a 2/2 colorless creature without any characteristics whatsoever (no name, no abilities, no types). A manifested card may perform all actions other creatures can perform (attack, block, ability to be targeted as a creature, etc.). Any time you have priority, you may turn a manifested creature card face up by revealing its mana cost and paying that mana cost. Similar to morphing a creature, the act of turning the card face up does not use the stack and cannot be responded to (any trigger upon turning it face up would use the stack as normal). A manifested creature card with the morph ability may be turned face up by paying either its morph cost or its casting cost. Non-creature cards that have been manifested may not be turned face up in this manner. A manifested creature that is turned face up is not a new creature. State-based effects affecting that creature remain when turned over (any counters on it remain, auras/equipment attached remain, etc.). Enter the battlefield effects do not trigger. In the event a card turns a manifested instant/sorcery card from face down face up, you reveal the card and it stays on the battlefield face down. Click on over to the Cardhoarder page to see their handy summary of the returning mechanics. 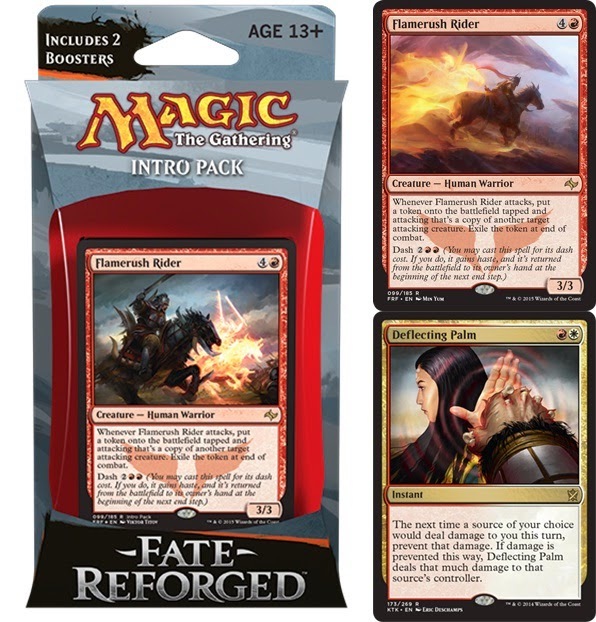 Just in time for the Fate Reforged PreRelease events this very weekend, Magic: the Gathering players should be happy that the mothersite had provided the decklists for the Fate Reforged Intro Packs. 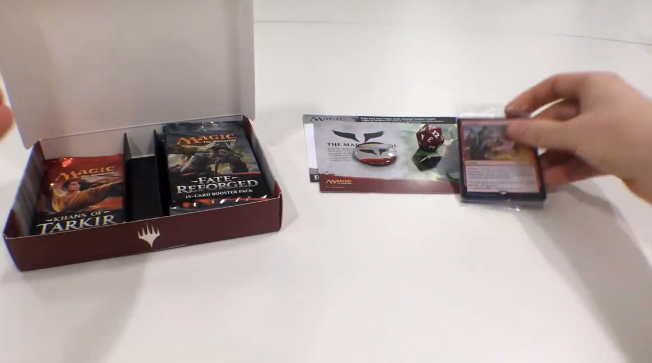 Intro Packs should be available at your local retailer this weekend so players can 'duel' for about $15. We is excite. 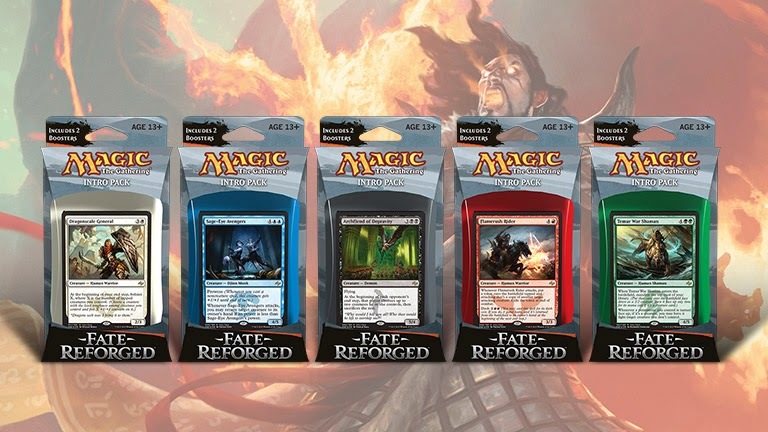 Only four more sleeps until the Fate Reforged PreRelease events this weekend - only three more sleeps if you are planning on attending a Friday Midnight PreRelease event (then you're only getting an afternoon nap while in class or at work). 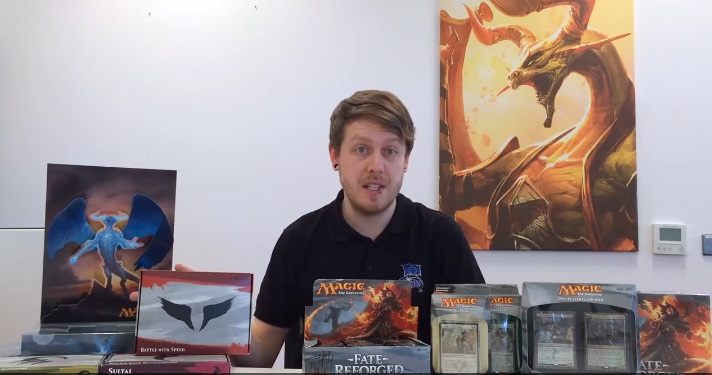 Anwyhoos, some more good info for Magic: the Gathering fans out there, this time from MTG European Community Management team lead Dan Barrett (@dangerawesome) in this video posted to FaceBook. 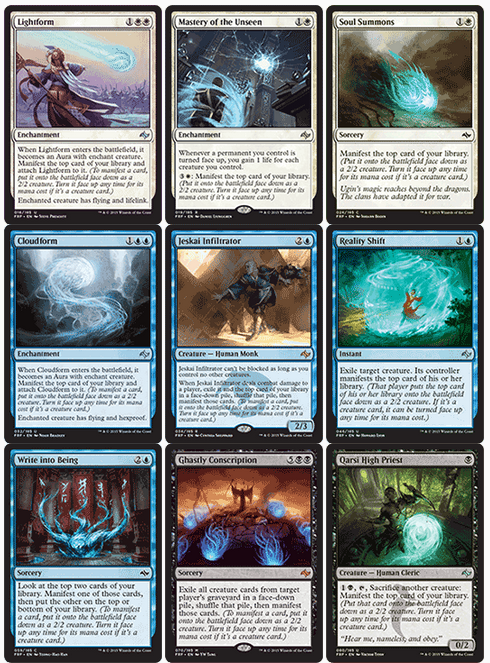 Post by Magic: The Gathering. 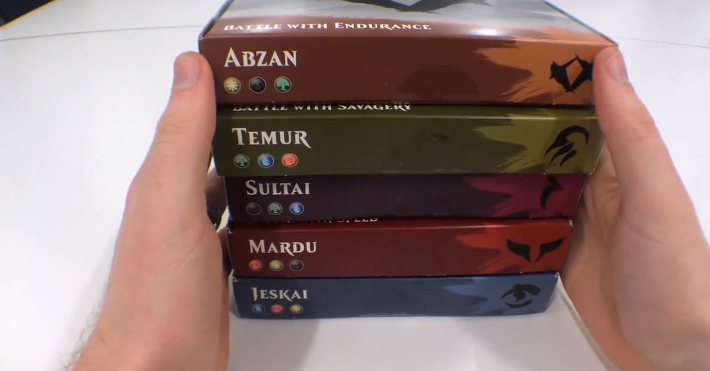 Dan is touching new Fate Reforged product for us - really never a bad thingy to watch. Thanks Dan!